When you hear about the Bay Area Science Festival, Kishore Hari, the festival's director, doesn't want you to think of the dry school science fairs of your youth. "I always tell people to think festival, not fair," he says. Forget the potato battery, the baking soda volcano and the boring poster boards. "It's the picture of you laughing, experiencing emotions, learning something. It's a true celebration." There are 56 events in ten days, beginning Thursday. There are adventures in nature and science: A hike near Mount Diablo, in an area usually off-limits to the public; a bike ride through wetlands in the South Bay that passes by the ghost town of Drawbridge; or a tour of a wastewater treatment plant. There are events for adults like the comedic science-themed panel quiz show and a live performance of the NPR showSnap Judgement. And there are talks almost every night of the week by scientists who have left the PowerPoint projects at home. The festival has two grand finales, free scientific extravaganzas in San Francisco and the North Bay with tons of booths and interactive demonstrations for all ages. 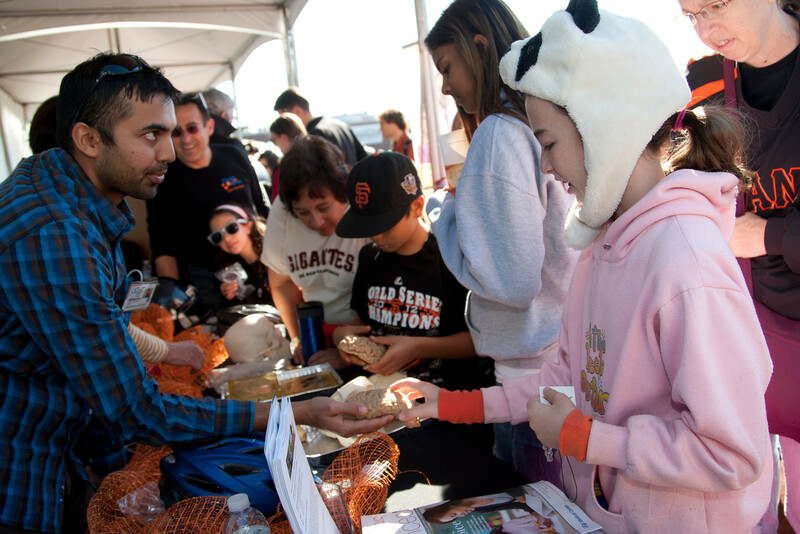 "I think science is an important part of the culture here in the Bay," Hari says. "You recognize what's important in your culture by celebrating it. We have festivals for music and art and comedy. Why not for science and technology, which is an embedded part of Bay Area life?" The 4th annual Bay Area Science Festival runs from this Thursday, October 23rd to Saturday, November 1st and is expecting 75,000 people. Scientists and storytellers share what they're passionate about in just five minutes with 20 quickly changing slides. Take a tour of the best butterfly habitat you didn't know San Francisco had: Market Street in downtown. Learn why the western tiger swallowtail calls this urban habitat its home. The director of the SETI (Search for Extra Terrestrial Intelligence) Research Center and the director of the Center for Integrative Planetary Science, both at UC Berkeley, move beyond the pages of science fiction to discuss the real search for intelligent life in the universe. Get a behind-the-scenes look at how UPS manages thousands of packages a day at its facility in San Francisco.